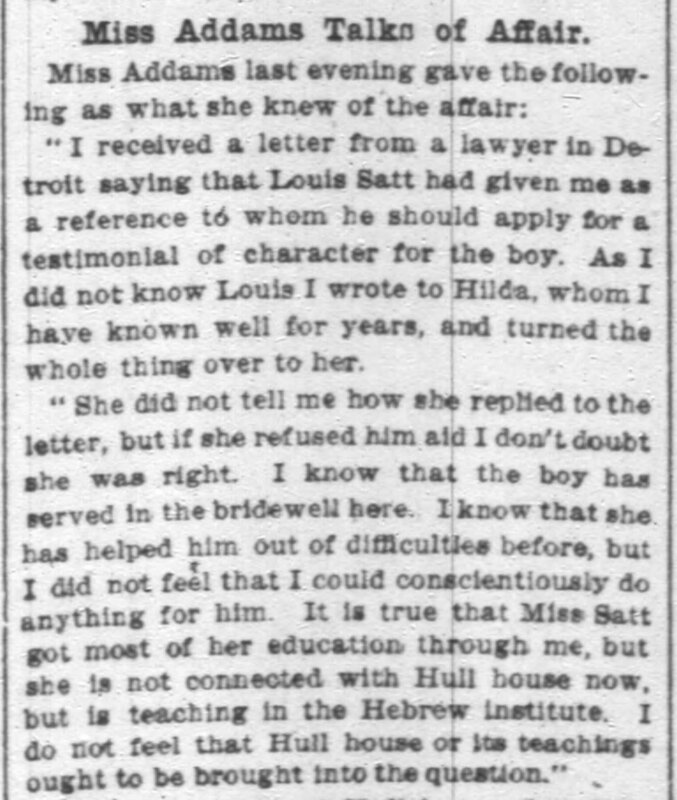 "I received a letter from a lawyer in Detroit saying that Louis Satt had given me as a reference to whom he should apply for a testimonial of character for the boy. As I did not know Louis I wrote to Hilda, whom I have known well for years, and turned the whole thing over to her. "She did not tell me how she replied to the letter, but if she refused him aid I don't doubt she was right. I know that the boy has served in the bridewell here. I know that she has helped him out of difficulties before, but I did not feel that I could conscientiously do anything for him. 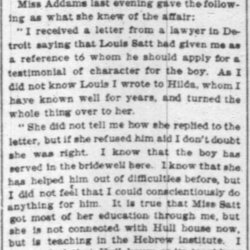 It is true that Miss Satt got most of her education through me, but she is not connected with Hull house now, but is teaching in the Hebrew institute. 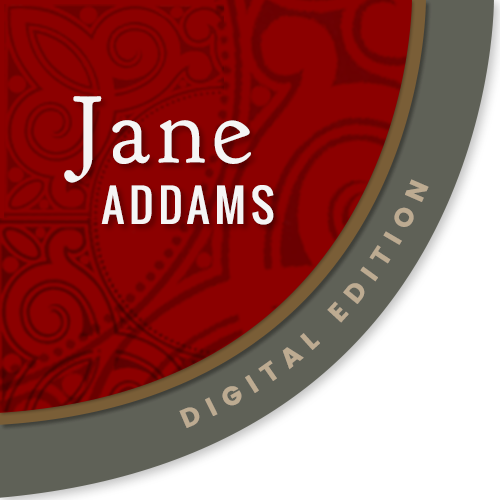 I do not feel that Hull house or its teachings out to be brought into the question." 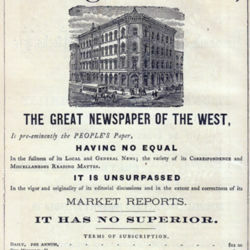 Deaf to Brother's Appeal, Chicago Daily Tribune, January 14, 1909, p. 1. 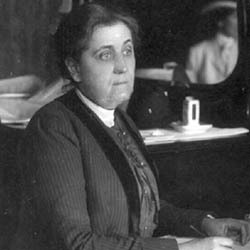 Chicago Daily Times, “Jane Addams Comments on Louis Satt Case, January 14, 1909 (excerpt),” Jane Addams Digital Edition, accessed April 25, 2019, https://digital.janeaddams.ramapo.edu/items/show/8834.